There’s even more rumors about Prince Charles and his wife, Camilla Parker Bowles, this week. This time, tabloid Globe magazine claims that Camilla flew into a “jealous rage” over in-law Kate Middleton. Globe has essentially strung along a narrative about Camilla for years, saying she’s “jealous” and scheming behind the scenes to become queen eventually, while also mistreating Kate. About two weeks ago, Globe (and only Globe) claimed Camilla and Prince Charles were about to have a divorce, which seems extremely unlikely because it would be a PR nightmare for the man who is set to become king one day. Globe and a few websites have been the only ones reporting on Camilla’s anger problems and alleged plots, which suggests there’s probably not much truth to them. No mainstream outlets outside of the supermarket tabloids have said anything on Charles’ alleged divorce (there was an absurd report, citing unnamed sources, back in June that claimed Queen Elizabeth ordered the two to split, which didn’t happen) or Camilla’s so-called scheming. Camilla and Charles recently attended an event on Tuesday, and she was photographed wearing a “stunning diamond-encrusted tiara,” according to the Daily Telegraph. 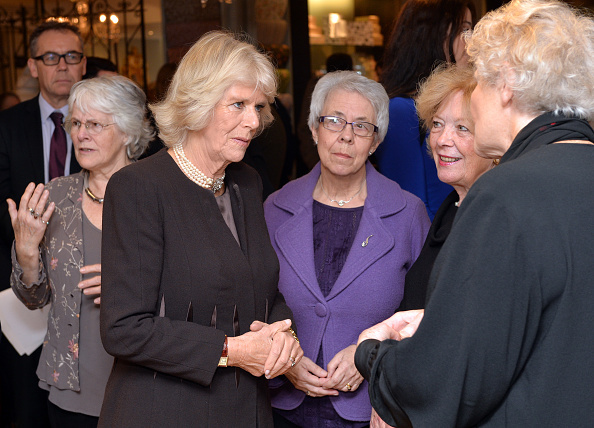 Charles and Camilla were photographed at a reception for members of the diplomatic corps. She also wore diamond earrings and a four-string pearl necklace. Royal watchers also speculated the tiara is possibly a family heirloom from her maternal grandmother, Sonia Rosemary Cubitt, Baroness Ashcombe, according to MailOnline. She previously wore the piece when she got married to Andrew Parker Bowles back in 1973. Her daughter, Laura, also wore the tiara when she got married in 2006. Also on Tuesday, Charles joked with television presenter Eamonn Holmes, who embraced Camilla. “Where have you been with my wife?” the prince quipped. “We always meet in peculiar places,” Camilla said to Holmes, according to the Express. 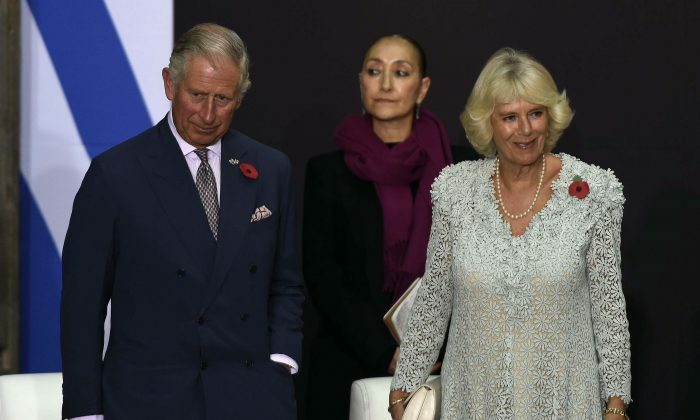 And last month, Charles and Camilla also visited Columbia. Meanwhile, Kate and Prince William are to head to New York City and Washington, DC in a few days. According to People magazine, a source said they want to meet as many Americans as possible.